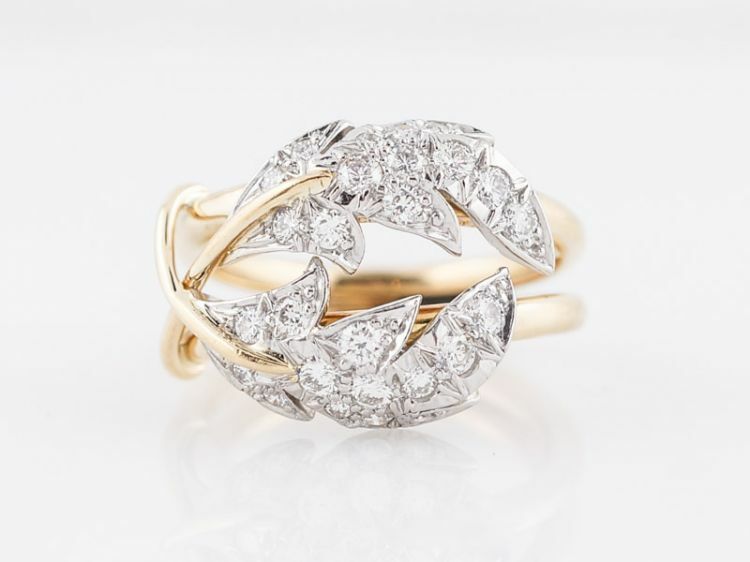 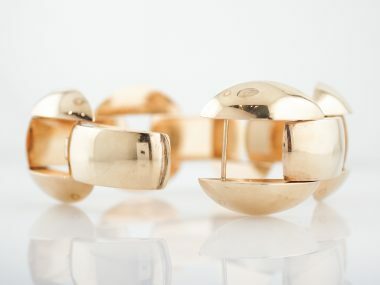 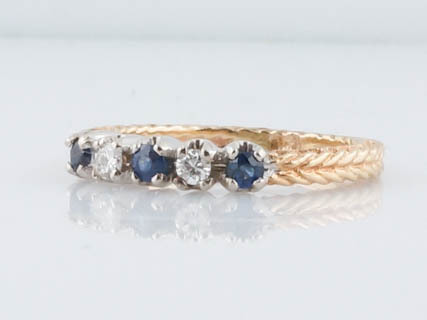 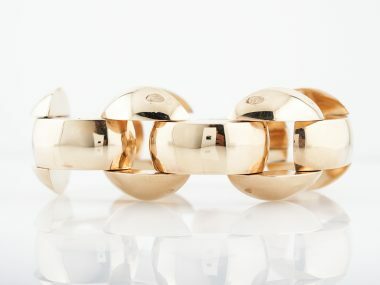 This wonderful Retro right-hand ring is beautifully crafted in both 14k white and yellow gold. 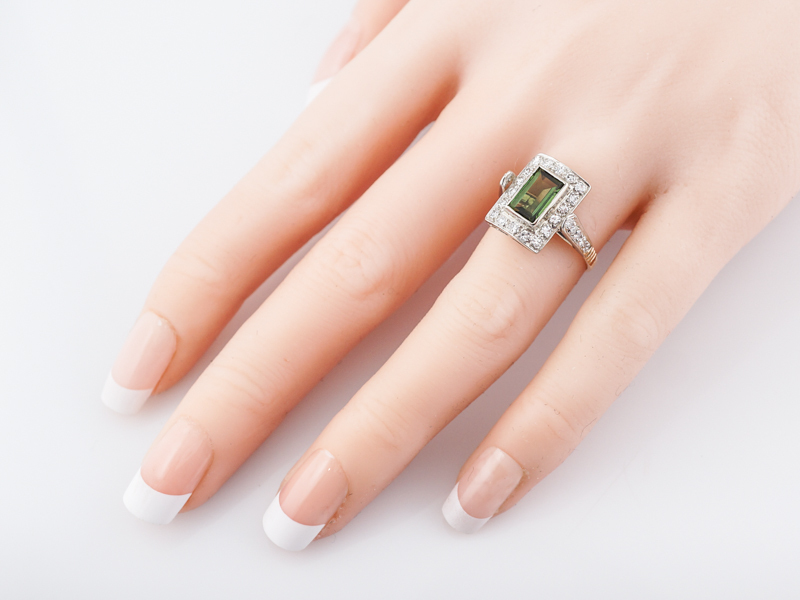 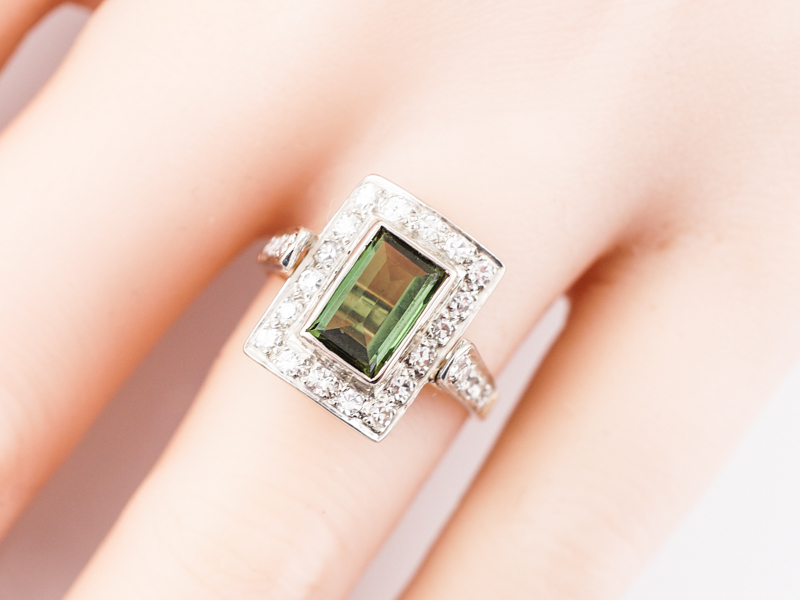 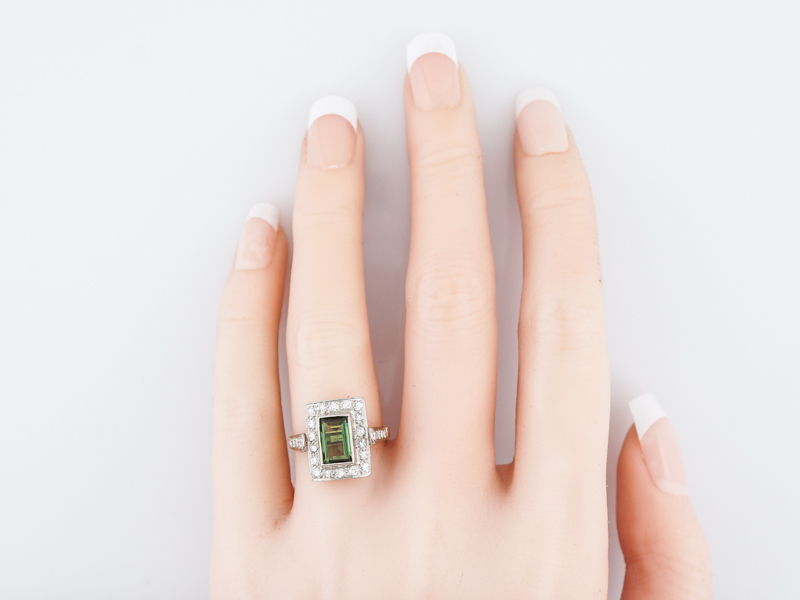 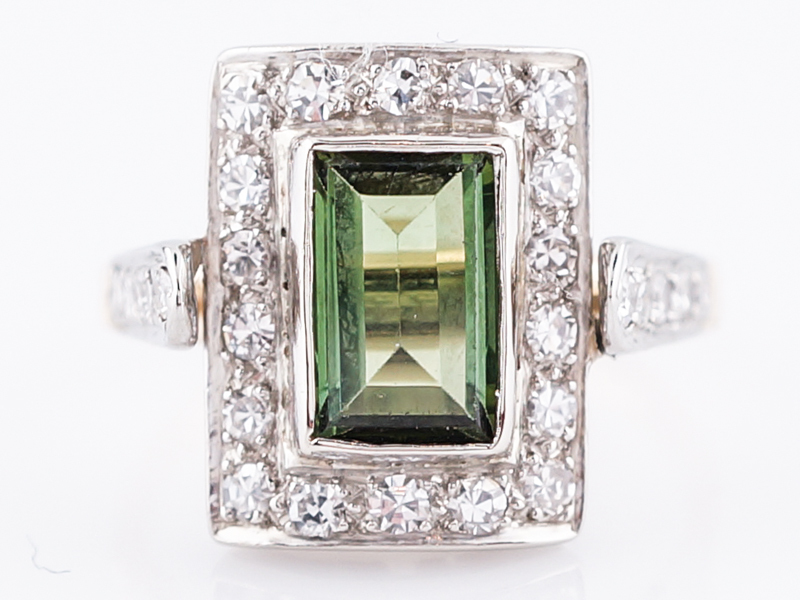 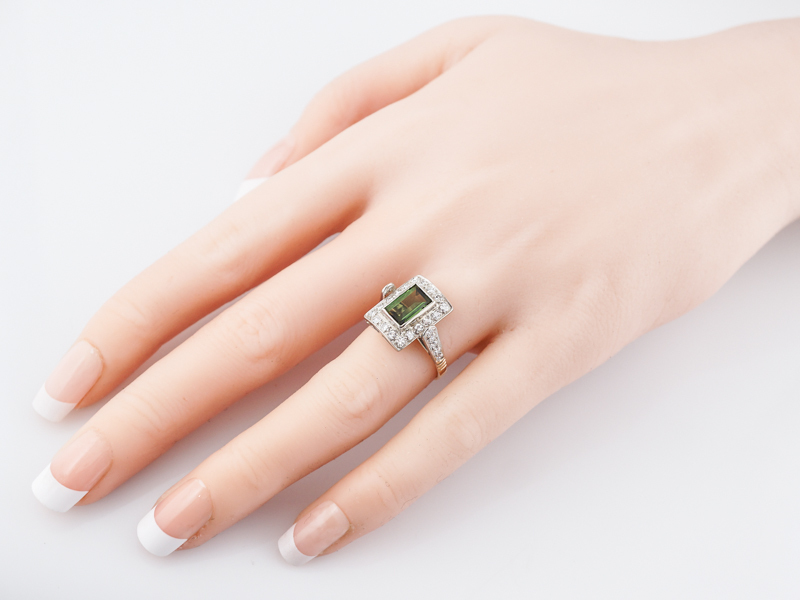 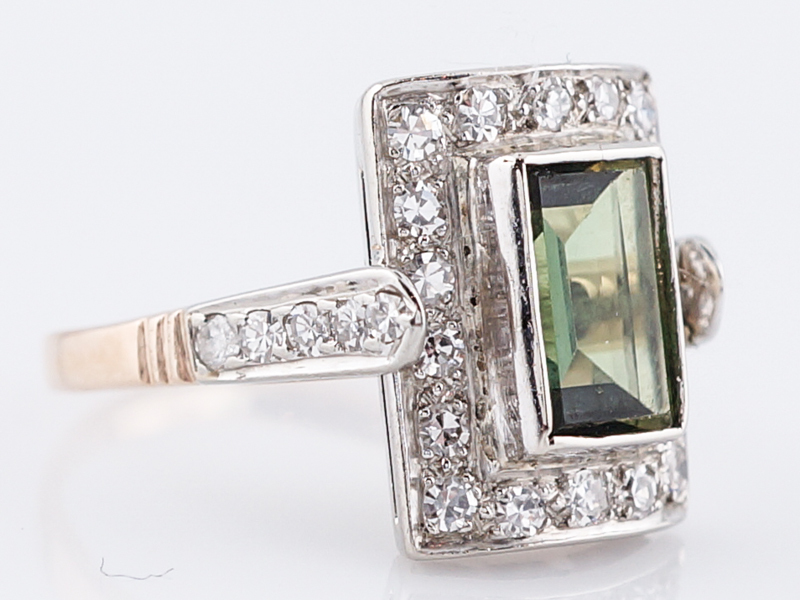 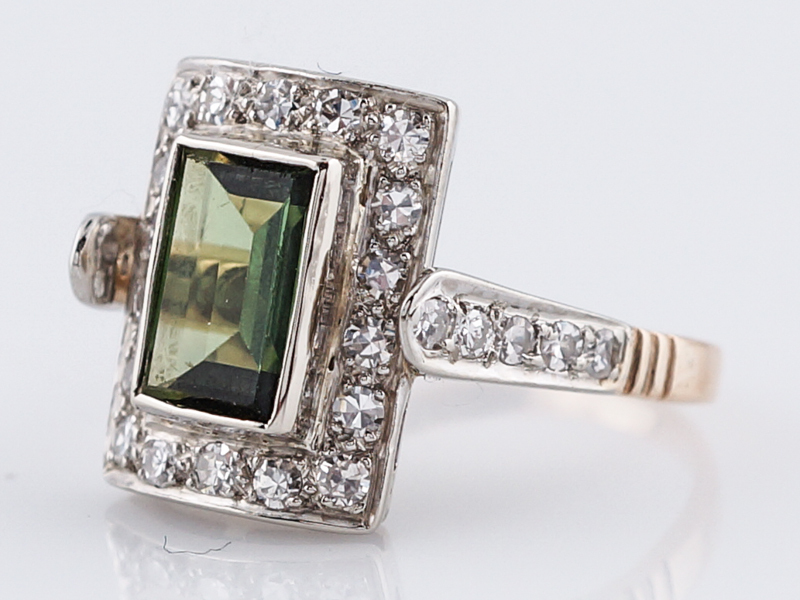 At its center is a bright and glittering bezel set .72 emerald cut chrome green tourmaline. 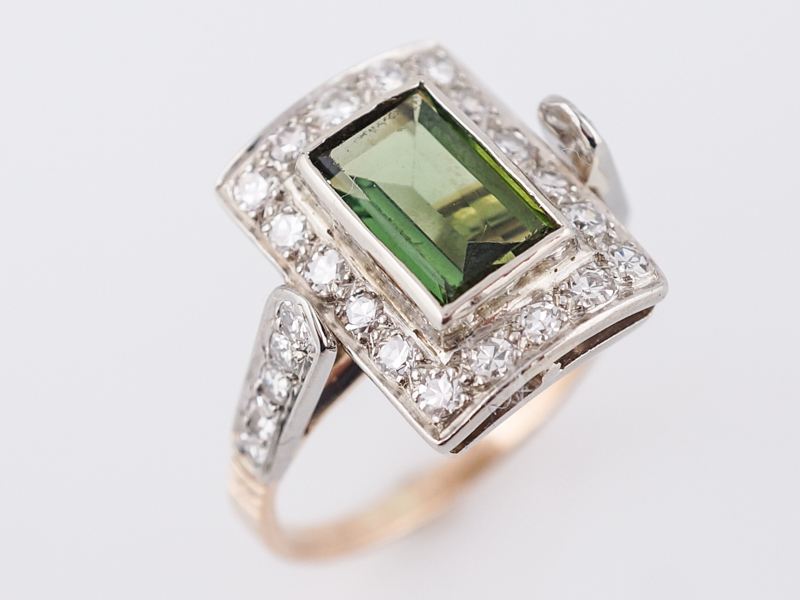 Surrounding the tourmaline are eighteen (18) .02 carat single cut diamonds creating a rectangular halo design. 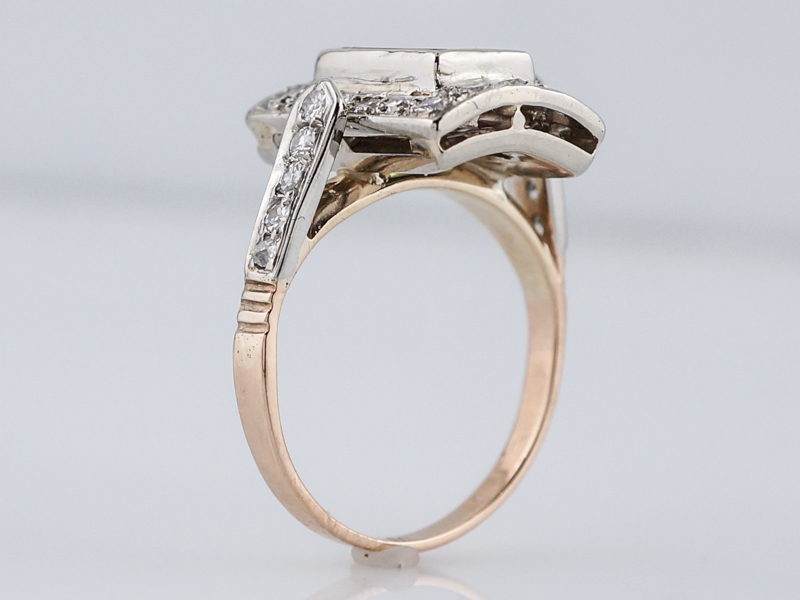 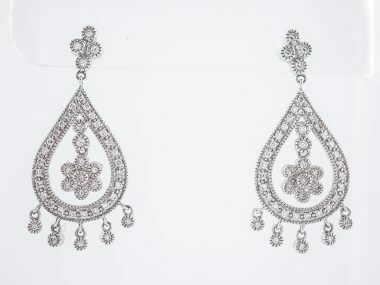 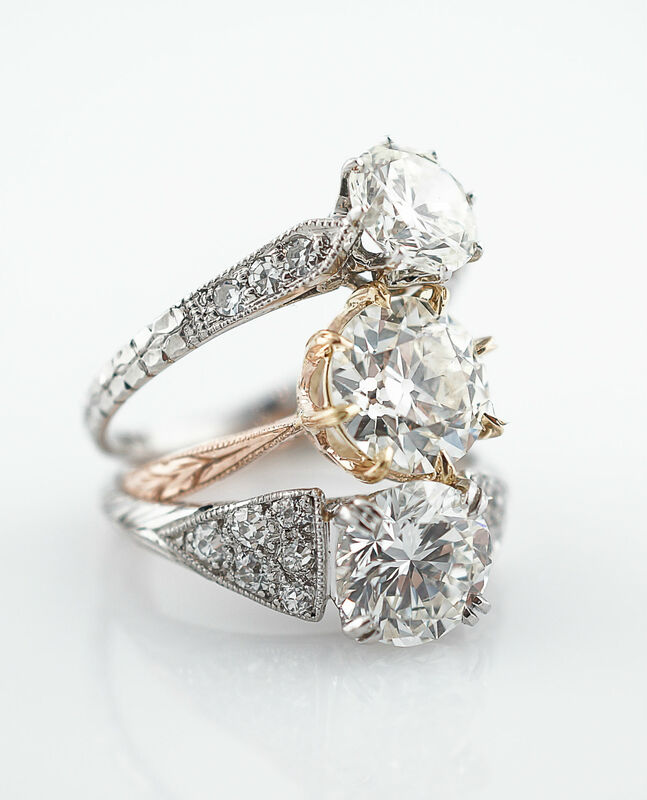 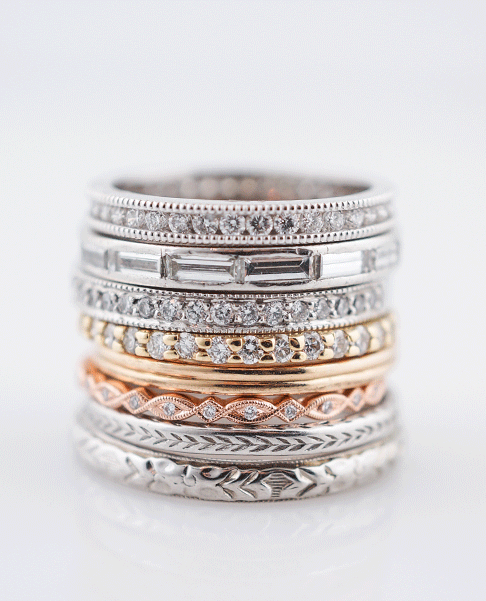 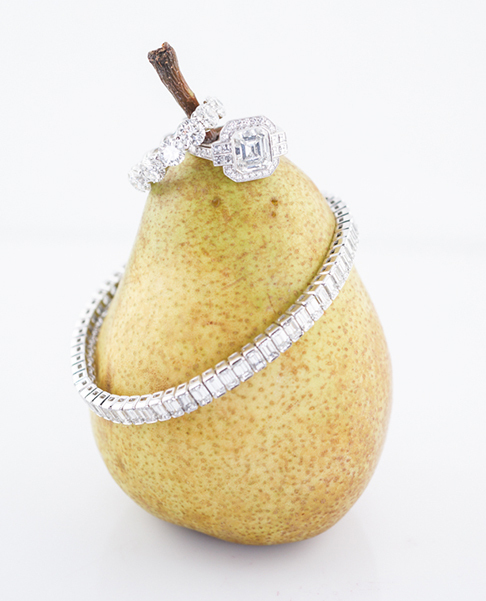 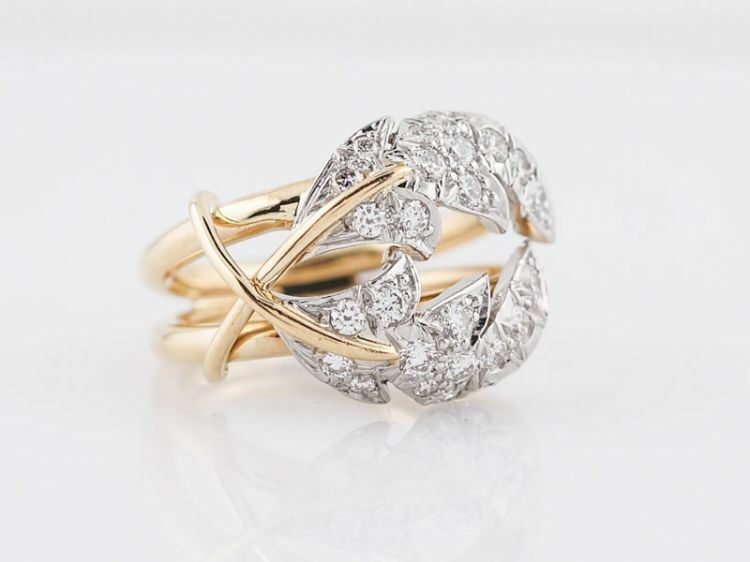 Five (5) more single cut diamonds are set cascading down each shoulder of the ring, where the ring transitions from white to a yellow gold shank via a tri-bar design. 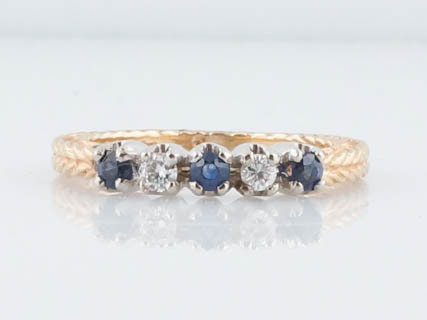 This ring would be a beautiful compliment to any party as it pairs with any color gold and has the perfect sparkle and pop of color!